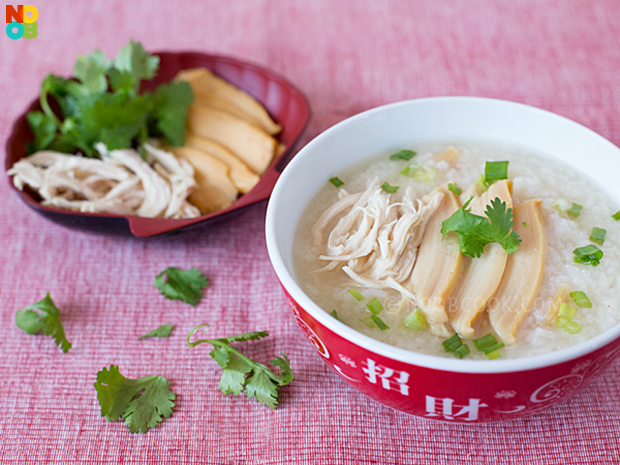 This homely and luxurious bowl of abalone chicken congee is full of umami sweetness! For convenience, place ikan bilis in a disposable soup pouch and discard after cooking. Rinse dried scallops and soak them in a small bowl of hot water until softened. Shred the scallops and reserve the soaking water. Boil chicken in 1000ml of water for 20 minutes. Take out the chicken and shred when cool enough to handle. Warm the abalone slices for 1 minute in the chicken broth using a slotted ladle. Strain the chicken broth. Set aside. Rinse rice until water runs clear, then add washed rice to a soup pot with the shredded scallops, red dates, carrots, ikan bilis and 1200ml of water. Bring to a boil. Leave the lid partially open and reduce heat to a simmer. Stir the bottom of the pot every now and then to prevent the rice from sticking to the base. Simmer for about 15-20 minutes until the rice turns to porridge. Add the scallops soaking water, abalone broth and chicken broth. 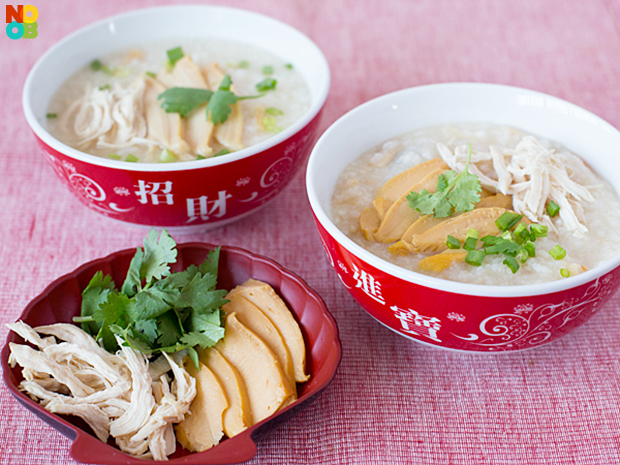 Continue simmering for 10-15 minutes, until the porridge reaches a congee consistency. Top up with more chicken stock or hot water whenever needed. 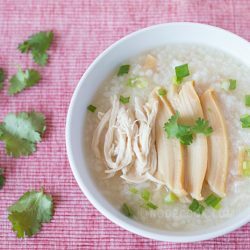 Ladle congee to serving bowls and top with abalone slices, shredded chicken, white pepper and coriander leaves.